Summer Streets is an annual celebration of New York City’s most valuable public space—our streets. On three consecutive Saturdays in August, nearly seven miles of NYC's streetsare opened for people to play, run, walk and bike. Summer Streets provides space for healthy recreation and encourages New Yorkers to use more sustainable forms of transportation. In 2017, nearly 300,000 people took advantage of the open streets. 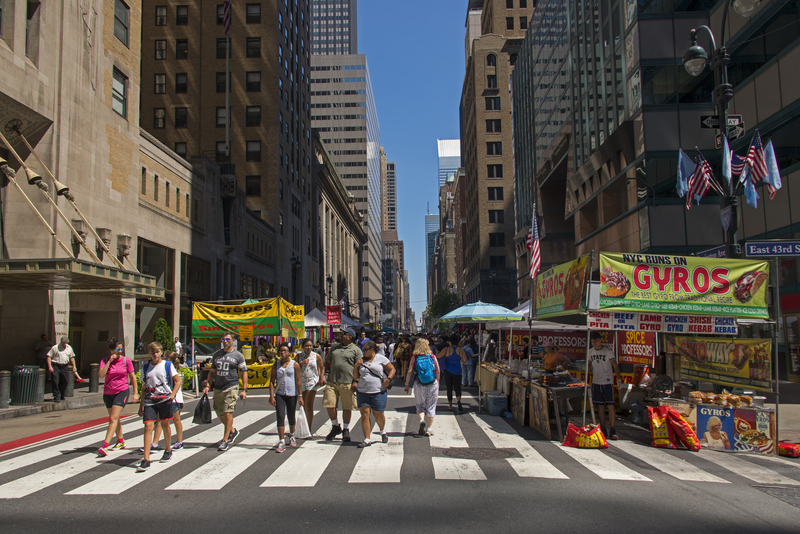 Held between 7:00 am to 1:00 pm, Summer Streets extends from the Brooklyn Bridge to Central Park, along Park Avenue and connecting streets, with easy access from all points in New York City, allowing participants to plan a trip as long or short as they wish. All activities at Summer Streets are free of charge and designed for people of all ages and ability levels to share the streets respectfully.